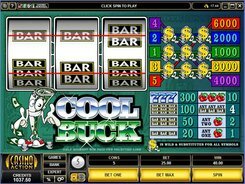 The classic Cool Buck slot machine from Microgaming is fitted with three reels and five win lines. The symbol set is cherries, dollar signs, sevens and BARs. These symbols can form winning combinations when showing up on the reels. 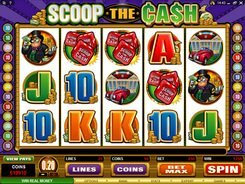 Spinning the reels is preceded by making a one-coin bet per line. A coin size can be altered from $0.25 to $5. So the top wager per spin is $25. 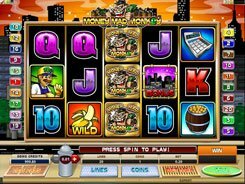 There are no extra bonus features in the slot, except for a wild symbol depicted by the dollar sign. 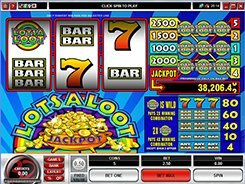 Three dollar signs dropped on active payline #5 grant a jackpot win worth 6000 coins. 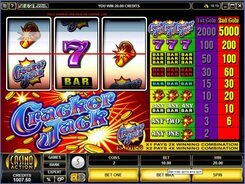 The more paylines you have enabled prior to the winning spin, the higher the jackpot is. 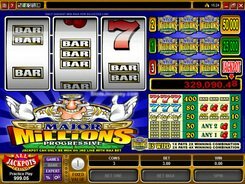 A wild can transform into any other symbol (BAR, 7 or cherry) helping create more winning combos and get more generous cash awards.